To access page setup use the Proposal Details panel and select Page Settings. 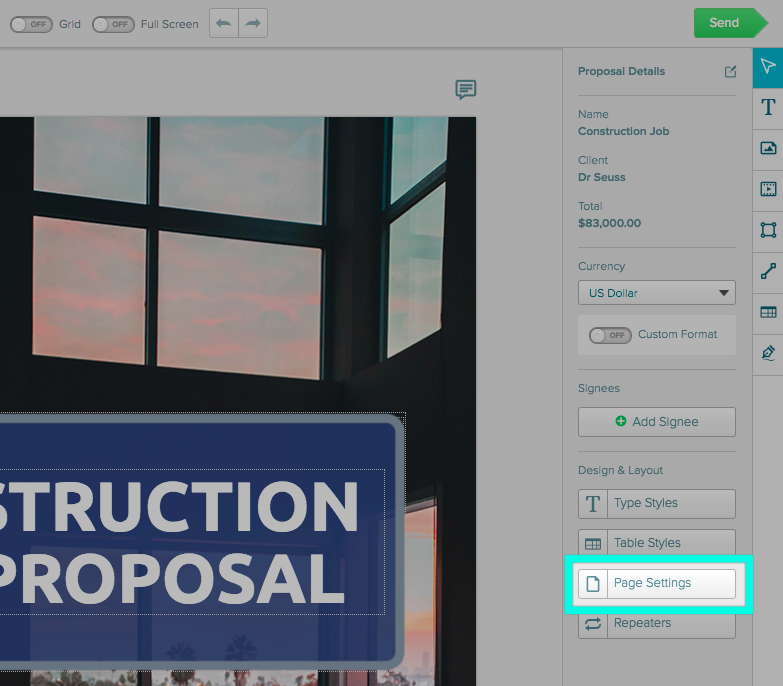 Keep in mind when switching between landscape and portrait that your content (text boxes, images, etc) will not shift with the orientation so you'll need to adjust your proposal content as well. This is where you can change the size and positioning of your flowed text box. Adding extra left margin will push your master text box out from the left of the page. Adding top margin will push it down from the top of the page and so on.